What if I told you that you could get a phone that's as stylish and powerful as the Samsung Galaxy S7, but for a fraction of the price? You'd probably think I was the guy who creates those web ads that say 'This stay-at-home mum earns £3 billion every week using Google' or something similar. 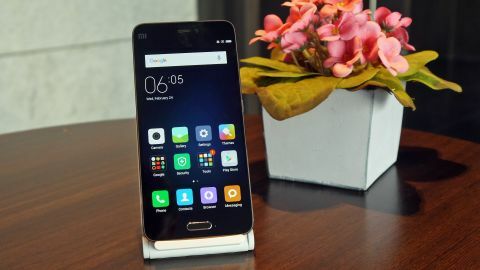 But here's the thing: the Xiaomi Mi5 is exactly that Android phone – a powerful, beautifully designed handset that's not the price of your average flagship. Price and availability are something of a moveable feast, however, because while the Xiaomi Mi5 is available in the UK through some retailers, it's never going to be sold on a carrier. This is one of those phones that you have to track down yourself, buy upfront and plug your own SIM card into, although for experienced users this is hardly a challenge. The question is, is the Mi5 is worth seeking out? Spoiler alert: yes it is. At least that's my opinion, although there are some caveats with this phone too, and we'll get to those as we take a closer look at this interesting little device. You can buy the Xiaomi Mi5 right now in the US and UK for $450/£300 while in Australia it costs AU$515. It has been out in all three markets for sometime now, so it may soon drop in price as well. There are two variants of the Mi5. I've been testing the basic version, which has what Xiaomi calls a '3D Glass' back, and comes in 32GB or 64GB storage options coupled with 3GB of RAM. There's also a Pro model that has a ceramic back, and comes with 128GB of storage and 4GB of RAM. "Glass?" I hear you say. Don't panic though, because this glass is tough. How do I know? Because the Mi5 has slid off my desk twice since I received it. This is because the glass rear offers very little friction, and on both occasions I'd placed it either on top of another phone or on another low-friction surface. But those mishaps did at least demonstrate that this phone is far from fragile. You may have preconceptions about the build quality of low-cost Chinese phones, but in this case I urge you to cast them aside. The Mi5 is completely solid in every way, and nothing about it would give the uninitiated any reason to believe it wasn't a high-end device. The metal frame looks and feels like it could have been designed by Samsung, while the 5.15-inch screen extends so close to the edges of the phone you wonder how Xiamoi managed to build such a marvel. The display is equally impressive when it's turned on. It has a pretty modest resolution of 1080 x 1920 pixels, which, compared to phones like the Samsung Galaxy S7 and LG G5 is a little low – those phones have similar screen sizes, but 1440 x 2560 resolutions. I'm not a fan of looking only at the numbers though, and I can assure you that the Mi5's display is bright, colourful and full of detail. It's an IPS-type screen, rather than an OLED, but that doesn't seem to have a huge impact, as it still offers the kind of ultra-vivid colours you'd see on the Galaxy S7. Xiaomi has opted for a USB-C connector on the Mi5 – and if you don't know what that is, then just know that it renders your old charging cables entirely useless, and requires you to buy extra cables for anywhere you might want to juice up your phone away from where you keep your main charger. I'm grumpy about USB-C in general, as at this stage it doesn't add much apart from the ability to plug the cable in either way round. In the long run USB-C will be a good thing, but you won't be saying that when your phone runs flat at work and you've left your charger at home. One feature about which I'm far from grumpy is the fingerprint scanner on the front of the Mi5, which is concealed beneath the home button. I initially concluded that this was some kind of magic – either that or it wasn't really scanning my fingerprint at all, and the whole thing was some sort of joke. Why do I say this? Because it's so fast that I simply didn't believe it could really be scanning anything. My theory was quickly disproved, however, by using a different finger to try and log in to the phone – it didn't work. So the fingerprint scanner is just really, really efficient. I didn't expect that – although maybe I should have, because most fingerprint scanners these days are fast and work well. The headphone jack is located at the top of the phone, and next to that is an IR blaster that you'll never use. If you really did want to use it, it could be employed to control your TV – but you have a remote for that already, and I've yet to be persuaded that this kind of extra functionality is of much value.